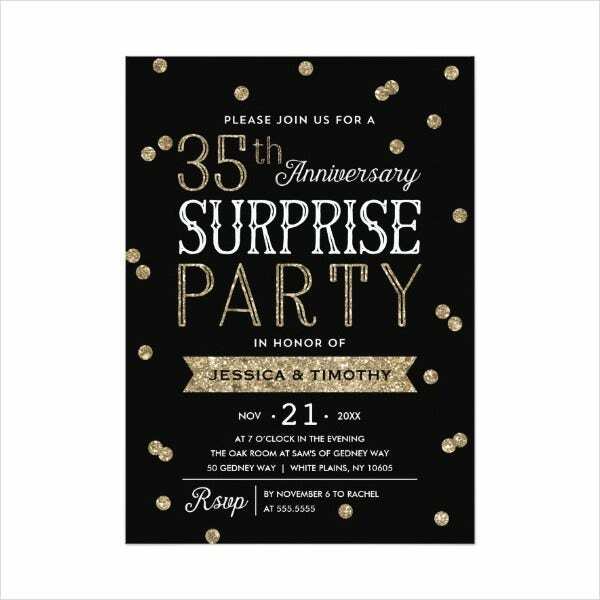 A surprise party is an event that truly excites people, especially those invited guests who are personally close to the person for whom the surprise party was organized. 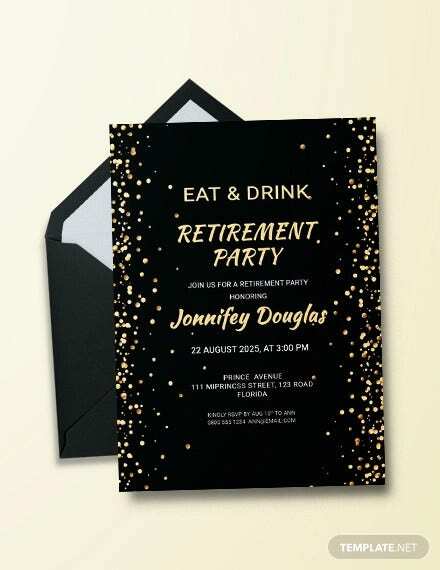 Even if the party will be a surprise, it is still essential for a surprise party invitation to be well thought of and evoke the party’s theme. 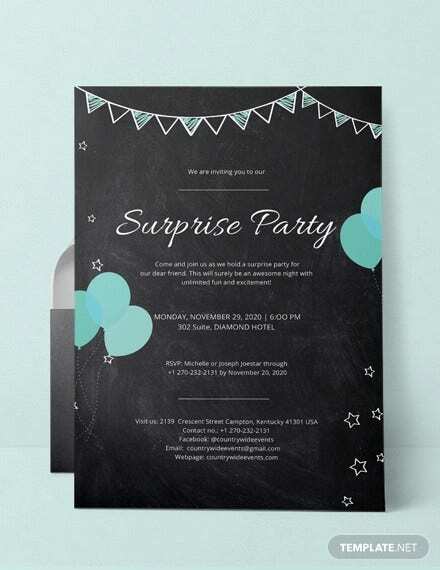 If you want to have some ideas on how to create a surprise party invitation, you may download our surprise invitation templates and use them as guides in creating your own invitation for the surprise party that you will host or organize. 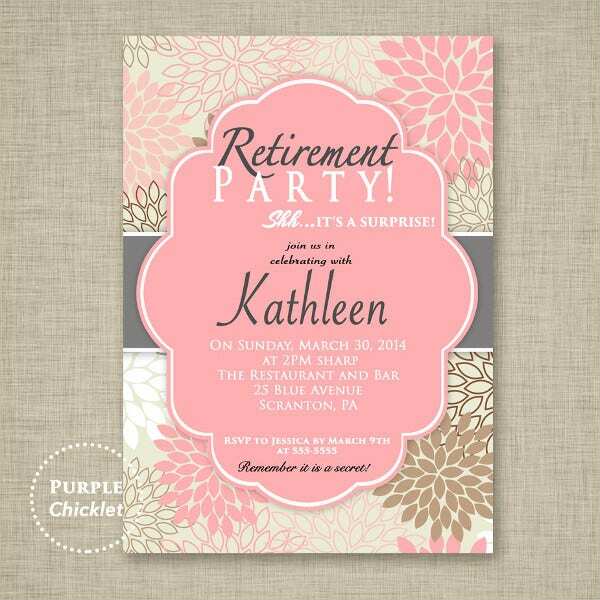 Other than that, we can also give you samples of different invitation templates usable for various events and occasions. 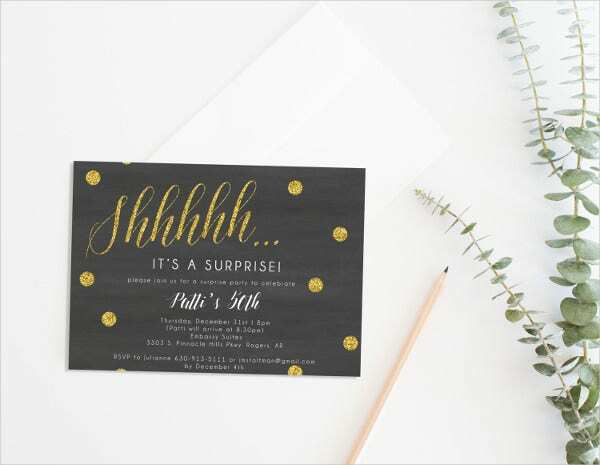 A surprise invitation may be used to all the events where the person for whom the event was organized is unaware that the particular event is going to take place. 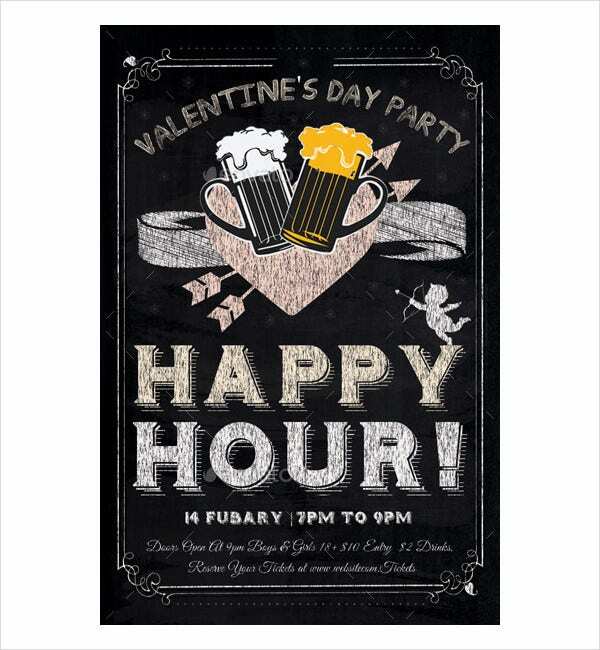 It is very important to select these events as some celebrations may not be appropriate to come as a surprise. Different instances should also be considered on whether to organize an ordinary celebration or make it a secret for the person who will celebrate an achievement or milestone. 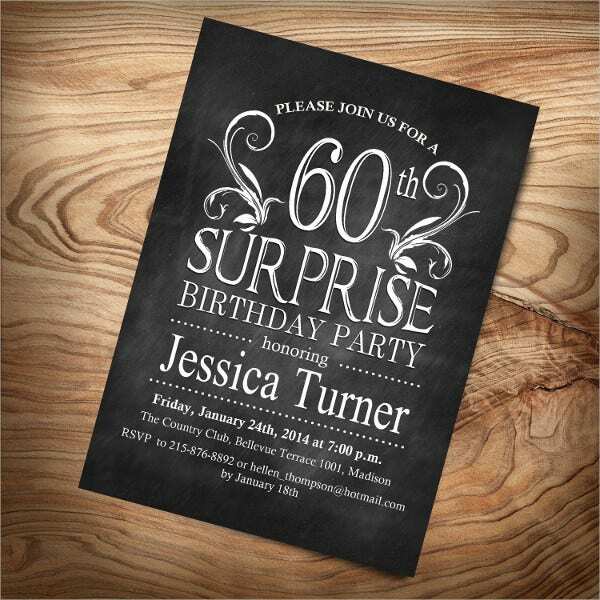 It can provide information about the surprise party to the invited guests. 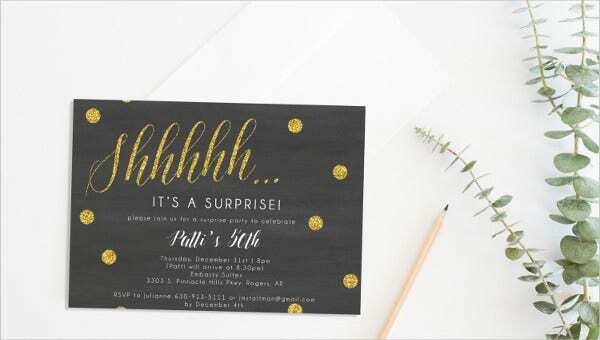 It helps in making the invited guests remember that it is a surprise party and they can’t talk about it with the person form whom the party is intended. It helps everyone involved in the party to be aware of the party program and the things that are bound to happen during the celebration. It can make the attendees of the party be aware of the specifications of the party, which can make everything organized and coherent even if it is a secret. 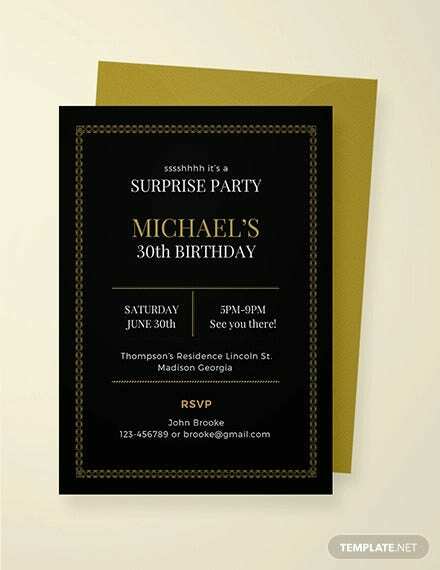 The only different of a surprise invitation to a normal invitation is that it should specify that the party is a surprise and that the person celebrating something should not be made aware of the party details or the fact that a party for him or her is being planned. 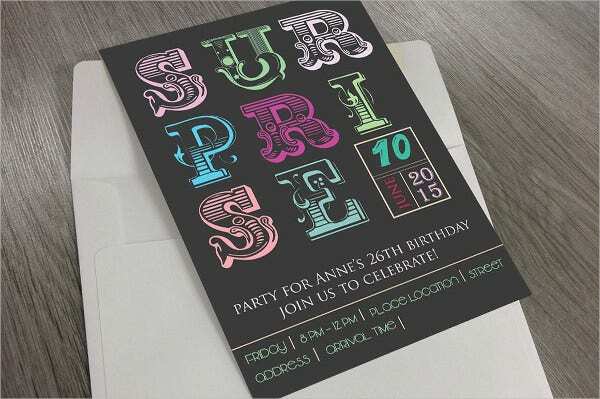 Aside from our surprise invitation templates, you may also browse through our downloadable birthday party invitation templates for additional references.